I have the privilege of sharing another story from China, as told by Elly Zhen. Two years ago, when I started studying on Positive Discipline routine chart, I loved the idea. It took me two years to learn about the mistakes I made during my first attempt. 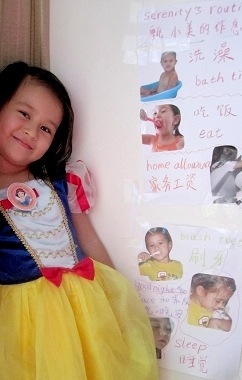 We found some photos of her eating, helping washing dishes, bathing, saying goodnight to our cat, and sleep. All very cute and beautiful. We printed them out, she cut them, pasted them on a big piece of paper, and I wrote the words in both English and Chinese. Her beautiful and "decent" routine chart was done! Of course, taking a bath was before dinner. After only four days, this beautiful routine chart caused a big fight. You can imagine the reason. My daughter burst into tears and rushed into her room and tore the routine chart into pieces! Later we had a friendly talk about the incident, apologized to each other, and pasted the routine chart back together. Still, she never used it again.....until three months ago. After teaching Positive Discipline for 1.5 years, I have realized the core value of PD is to EMPOWER my child, not to manipulate or control her. So I made up my mind to re-do the routine chart. To be honest, I was nervous and very unsure on whether or not she would be willing to do it. "But so what! If it fails again, it fails", I thought to myself. "At least I can learn something new." This time, I completely gave my trust to her. She came up with 13 things before bedtime, such as brushing teeth, throwing out trash, hugging our cat, etc. With all the things she needs and wants to do between bath time and going to bed, there was enough time for her hair to get dry! 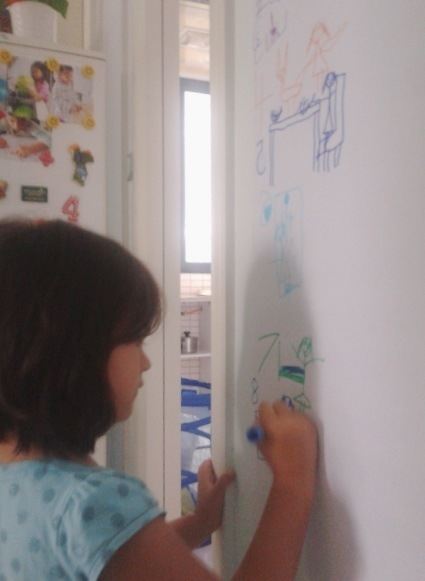 She drew pictures of her task on a big piece of paper and pasted it next to the kitchen door. She did it, every part, all by herself! 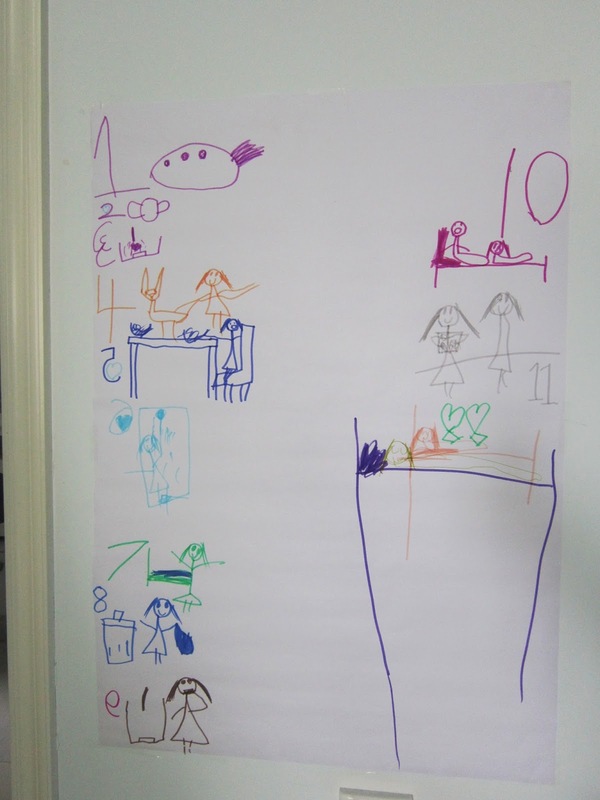 You can see from the attached photos that nobody could understand her routine chart, but just herself. 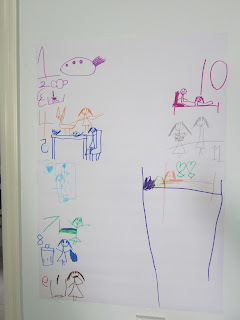 For me, this just represents it is this child's own routine chart. We are still using this "routine paper" (she named it). I say "we", because she now often says to me: "Mommy, you can take a look at my paper? You will know what's next." It took me almost two years to get the "essence" of routine chart -- it's to make our life stable and secure, not the opposite. For that, I thank Positive Discipline!